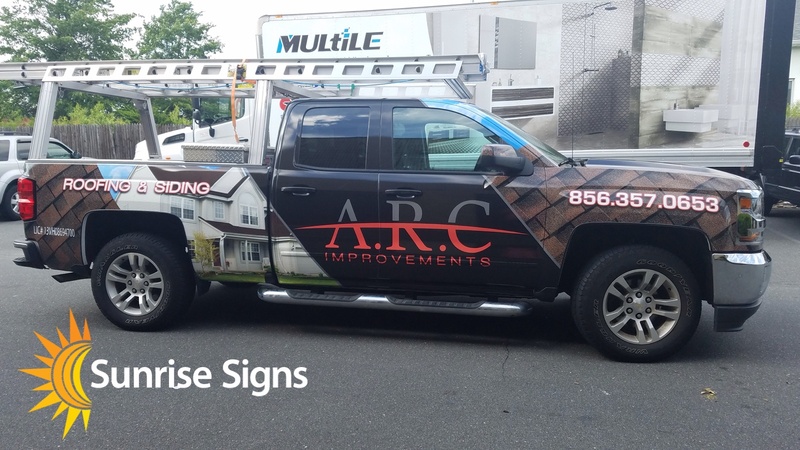 The owner of ARC Improvements had recently purchased a new white Chevy Silverado pickup truck and wanted to start branding his vehicles properly - so he gave Sunrise Signs a call and the rest is history! 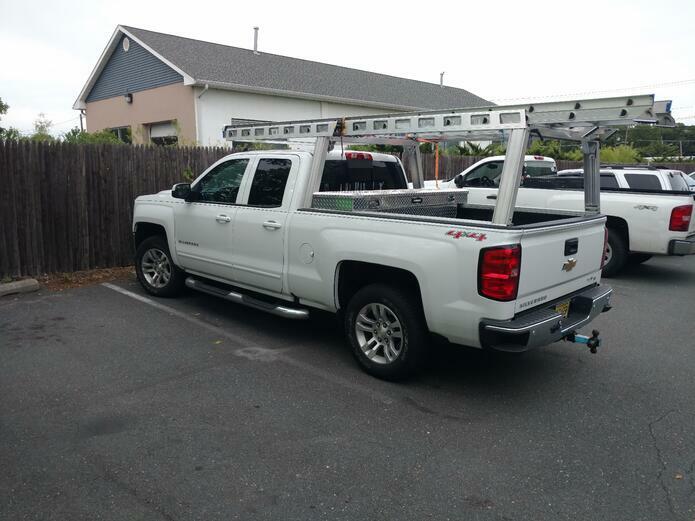 An all-white vehicle is a great advertising opportunity for any business to take advantage of. 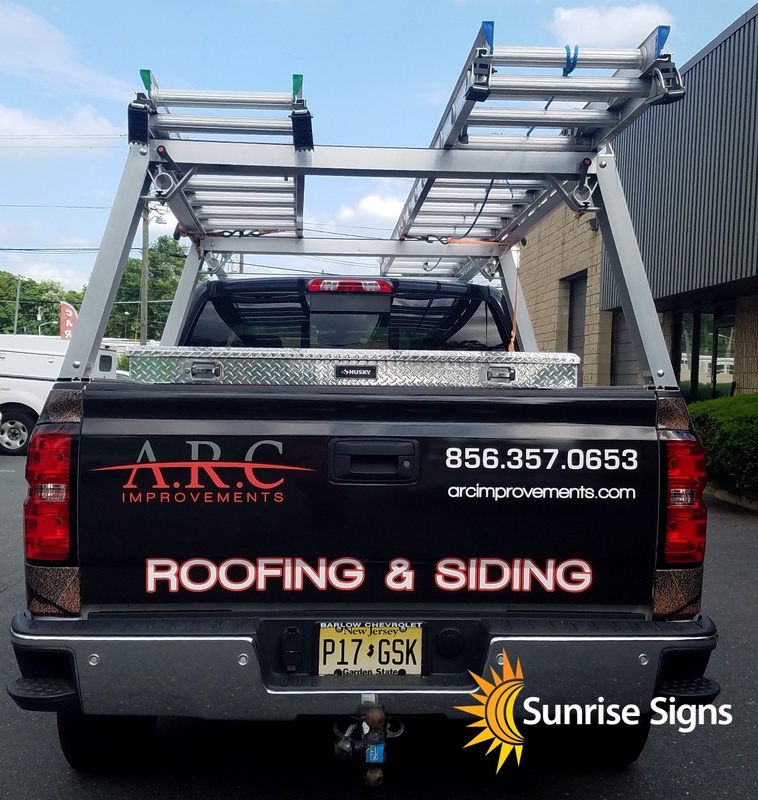 ARC’s owner wanted a wrap design that would separate the company from their competitors, while still maintaining clean, professional branding that wasn’t overbearing. 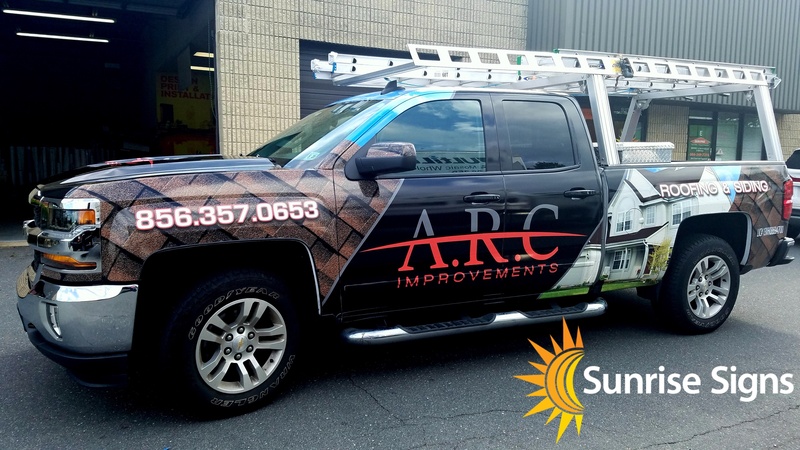 Since this was the first vehicle ARC Improvements had wrapped, we had a fresh start to come up with an eye-catching design that would help ARC increase their branding presence. After the initial design consultation, we found a nice balance between using high resolution project images and clean text graphics. Our designers selected specific stock images that would highlight the kind of projects ARC works on, while making sure all the while that the graphics would look sharp from any distance. 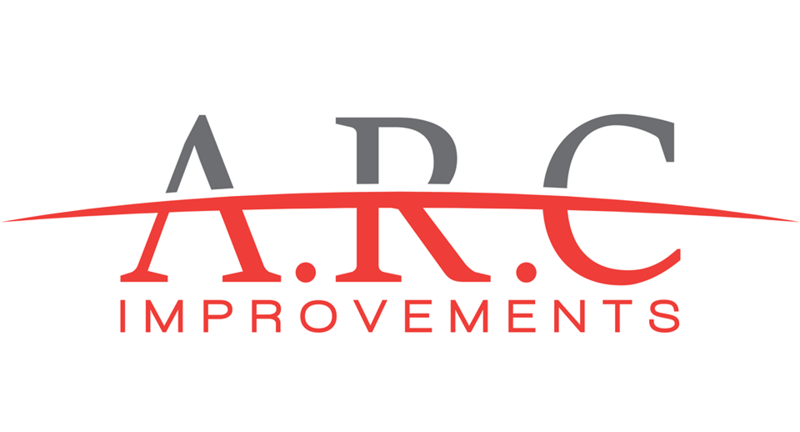 We centered their logo and spaced it apart from the images to ensure easy brand recognition. 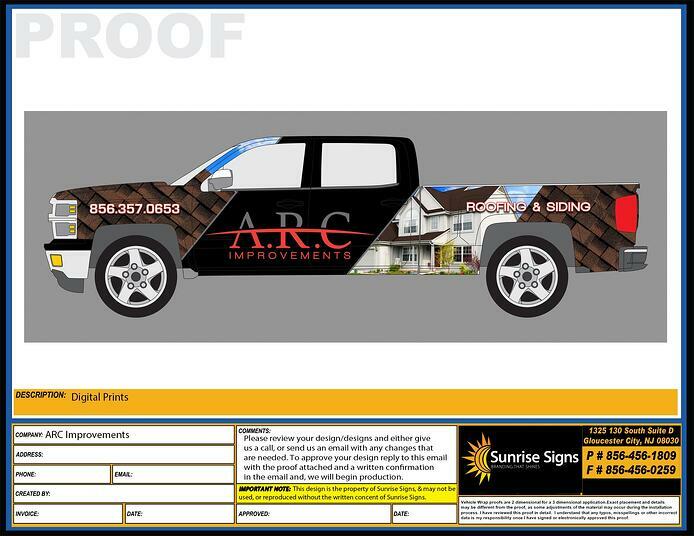 We kept a minimal amount of text on the vehicle, presenting only the most necessary information on the wrap. 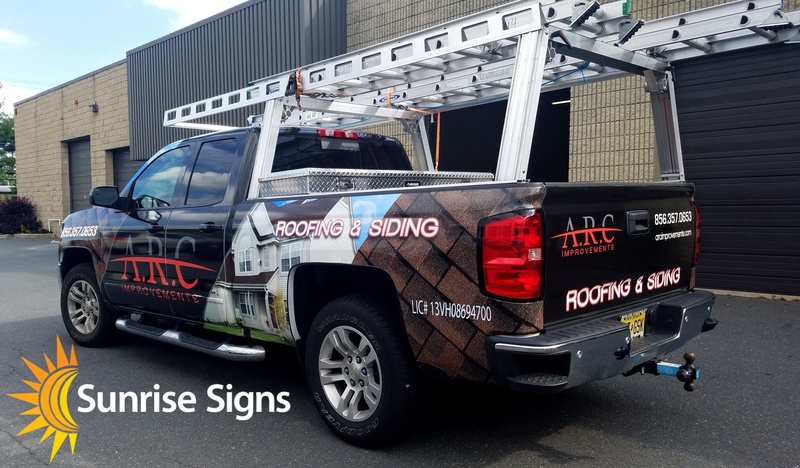 Since ARC’s vehicles are always on the move, it was important to make sure the wrap design wasn’t overborne with text - on the road you typically only have about 5 - 7 seconds to deliver a message. ...stuck in traffic, you'll know who to call! ...a busy day in our parking lot! And that's that! Another satisfied customer and sharp looking wrap from the team at Sunrise Signs. Ready to wrap your new home service vehicle? Tired of the judgmental looks you get on that unmarked white van? Give us a call and get your business branded!